The husband of former Deputy Ontario Premier George Smitherman, Christopher Peloso, has been found dead by Toronto Police and it has been confirmed he committed suicide, but not by what means. 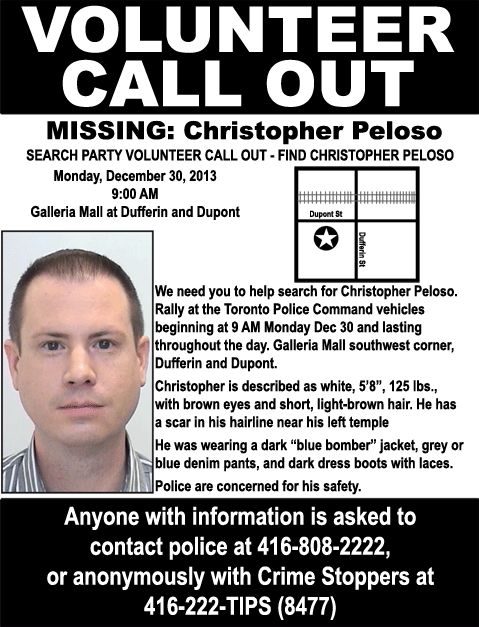 “Freedom from depression has been elusive for Christopher and once again he is missing and we fear for his safety,” Tweeted Smitherman on Sunday. 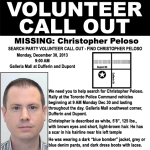 Peloso had gone missing earlier in 2013 and was found curled up near railroad tracks. “We will celebrate his life and we will find comfort somehow in knowing that he has found peace from the depression that has wreaked havoc on his mind,” wrote Smitherman. The couple have two adopted children. Former federal Liberal leader Bob Rae said he was “devastated” to learn about Peloso’s death. Rae said Peloso had a continuing struggle with depression. 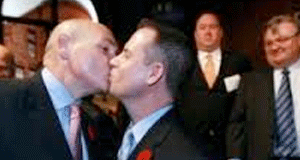 Smitherman retired from provincial politics and ran for Mayor of Toronto but lost to Rob Ford.